He could cook a mean abalone. He could tell Sven & Ole jokes like nobody’s business. He could make wine that was a gateway drug to this wondrous realm. But what I’ll always hold close about Kent Rosenblum, whose sweet soul slipped the surly bonds of Earth on Sept. 5, was his grace, his generosity and his love of life its ownself. I didn’t know it when I wrote my first-ever winemaker profile on the former Minnesotan a decade ago, but Kent was the paragon of not only the people I want to spend the rest of my life around, but of what I would like to become myself. And what a life he lived, from making all-conference as a wrestler at Gustavus Adolphus and then fermenting grape juice on the mean streets of Alameda (“When the gangstas found out what I was doing, they not only left us alone, they started protecting us,” he told me) to leading California vintners down a “bigger can be better” path and finding vineyards up and down the state where his favorite grape, zinfandel (left), could thrive. Yes, veterinarian, a role that he told me in January that he still occasionally filled. Kent was living proof that a science background was an immeasurably valuable tool for winemaking, especially in the way he crafted wines that never got flabby or flaccid even when the grapes were picked on the edge of over-ripeness. His eponymous winery joined Ridge and Ravenswood as the “Three R’s” of zinfandel, which not only inspired the likes of Mike Officer to make wine in his garage (and eventually start the estimable Carlisle winery) but led countless other consumers to a passion that persists to this day. 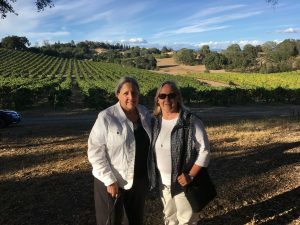 Among them: my pal Lynn Fowler, who commented on Facebook that Kent “introduced us to many things that make us appreciate wine today.” And yours truly, who would only add that it should be “Four R’s” since my first “a-ha” moment with a domestic wine involved a Rafanelli zin. But I digress. Over the years I got to know Kent at wine competitions and loved to pick his brain about wine and life, although I was never fortunate enough to be on a panel with him. The only challenge was getting sufficient time with Kent, for he was as admired and sought after as any winemaker at these gatherings — and I never had the stamina to join the party in his hotel room after a day of testing 100-plus wines and then partaking of a viniferous dinner. 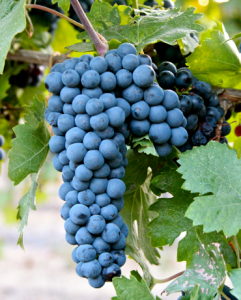 When someone who lives in Napa characterizes a vineyard that way, one tends to listen. And of course it was splendiferous — that’s Sandy and her friend Marie making it even more beauteous — with a veggie/fruit/herb garden, pizza oven and Viking range incongruously but seamlessly perched atop it all. Those already were two of the most stupendous afternoons of our lives, and now will only be heightened in our memories with Kent having passed over to another realm. 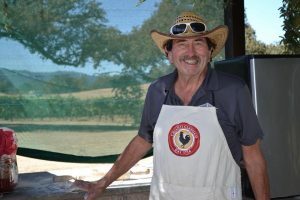 He grilled abalone and pizza and served caprese emanating from the adjacent tomato vines and basil plot, with of course endless pours of delicious juice from his newer winery, Rock Wall. That site is adjacent to what is now the grounds at Copain, which Kent sold several years ago. (Check it out next time you’re in Sonoma for astonishing vistas.) He also cashed in on his winery, selling Rosenblum for almost twice what his financial advisors had anticipated a decade ago. So he was a savvy businessman on top of everything else. On top of the wit and wisdom, the kindness and gentleness, the cooking and vinifying in extraordinary fashion. That formidable skill set seems almost irreplaceable. Indubitably, his soulfulness leaves an unfillable void. 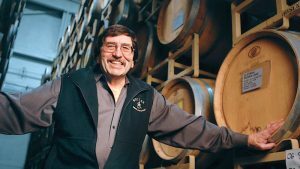 Kent was the go-to guy for winemakers who had a problem. He would tell them exactly what they needed to do to make it sell. He also spawned many small wineries by buying their product and labelling it under Rosenblum Cellars with their name under it. I am sorry to hear of his passing but so thankful to the contributions he made to the industry. His generosity knew no bounds, and I had not thought about this facet of it. With folks like you, he willingly, eagerly shared his knowledge about making and selling wine. Holy Cow…..I had no idea Kent had passed. I couldn’t agree more with the way you described him as a person, he was indeed a VERY special guy. My father and myself partnered with Kent in 1983 to produce wine from our Zinfandel vineyard on Howell Mountain. I trucked our grapes to Rosenblum Cellars in Emeryville four straight years and with Kent’s talent for Zinfandel we were launched. I loved that man & his family. He will be missed by many. Rest in peace Kent ! I remember those wines fondly. Would love to visit your vineyard/winery next time I’m out that way this winter. Bill, thank you for sharing this tribute to Kent. 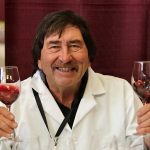 Those dinners in Cloverdale and the San Francisco Chronicle Wine Competition never will be the same without his charm, charisma and those hilarious Sven & Ole jokes. He batted 1.000 with them. Agree wholeheartedly. I’m afraid it will be a sad or at least solemn occasion this coming January.